not just a household in general. 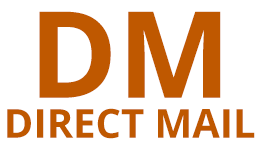 Every Door Direct Mail® program. We see you need extra assistance with designing your direct mail. Guess what? You are in the right place. Why? affordable direct mail templates and products for the USPS since 2011. We can create any size template to fit your direct mail needs. secure our foot-hold in direct mail designs. exceptionally natural and the level of service was outstanding! designed by ummhumm creative studio – they really were professionals. The crew at ummhumm creative studio are a rarity in this industry. and provide excellent design options in a variety of mediums.